SAN SALVADOR, El Salvador–VECA Airlines (Vuelos Economicos de Centro America) the new start-up airline and El Salvador’s flag carrier established in late 2013 in San Salvador, El Salvador is close to start its international operations. The main airline hub is located in San Salvador at Monseñor Óscar Arnulfo Romero International Airport (formerly Comalapa International Airport). The airline is expected to commence service in June 2014 with regional service to major cities in Central America. VECA Airlines is expected to start their services with two Airbus A-319 leased from lessor International Lease Finance Corporation (ILFC). The first of these, a former Cyprus Airways aircraft, has already been delivered to the carrier, while its sistership is being prepared in Miami, Florida ahead of its official handover to the start-up. Both aircraft will be configured in a single-class, 144-seat economy class arrangement. The start-up intends to bring competition into the Central American market following the recent merger of Avianca and TACA Airlines. Several former TACA Airlines employees work now at VECA Airlines, the new runner up as the Salvadorian major airline after the absorption of TACA Airlines by the Colombian flag carrier. It is unclear if VECA Airlines will expand it’s “Wings” beyong the Central American countries but Salvadorian and Nicaraguan authorities hope the airline would open flights to Los Angeles, San Francisco, Houston, New York and Washington-DC. VECA Airlines will operate to Guatemala City, San Pedro-Sula, Managua, Panama City and San Jose, Costa Rica. The Juan Santamaria International Airport will be VECA Airlines secondary airport. VECA Airlines will start operations in June from El Salvador International Airport. This entry was posted in Airlines, Avianca, Colombia, Costa Rica, El Salvador, Honduras, Juan Santamaria International Airport, LACSA, Latin American Low Cost Carriers, Panama, TACA, Uncategorized and tagged Avianca, Costa Rica, El Salvador, Guatemala, Honduras, Low Cost Carrier, Nicaragua, Panama, TACA Airlines, VECA Airlines. TEGUCIGALPA, Honduras–Regional Honduran Airline AEROLINEAS SOSA is expanding its network to neighboring Guatemala operating its only jet, a Bombardier CRJ-100. 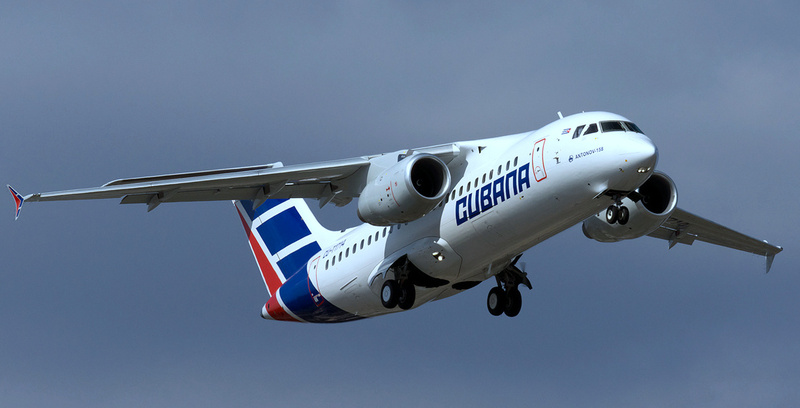 The airline operates mainly as a domestic airline in Honduras, serving Tegucigalpa, Sam Pedro-Sula, La Ceiba, Brus Laguna, Puerto Lempira, the Bay Islands (Roatan, Utila and Guanaja) and their only international flight to George Town in Grand Cayman. Their fleet is composed of 4 LET L-410 UVP, 2 BAe Jetstream 31s, 2 Saab 340 and 1 Britten-Norman Islander. The airline sports a blue and white livery and the Honduran flag on the tail, as one time now defunct flag carriers TAN and SAHSA used to have. In all Central America the existing small airlines are expanding its route structures (Air Panama, TAG of Guatemala and now Aerolineas Sosa) and in other countries start-ups (El Salvador, Costa Rica and Nicaragua) could be partly after Avianca’s take-over of Central American airline TACA. Aerolineas Sosa second international destination will be Guatemala City. This entry was posted in Air Panama, Airlines, Central American Airports, Central American Domestic Airlines, Costa Rica, El Salvador, Grand Cayman, Honduras, Panama, TACA, Uncategorized and tagged Aerolineas Sosa, Grand Cayman, Guatemala, Guatemala City, Honduras, SAHSA, TAN. Ticos Air will operate the Airbus A-319s. SAN JOSE, Costa Rica–The recently formed Costa Rican airline, Ticos Air, is searching for personnel to fill several administrative and technical posts. Marketing Manager Daniel Gil said the new company plans to hire 120 employees, who will join 22 current workers to launch the airline’s operations. Gil said the company expects to begin operating its first flights in early 2014.Ticos Air provided the Civil Aviation Administration in Costa Rica (DGAC in spanish) with the required documentation for operating permits last June. 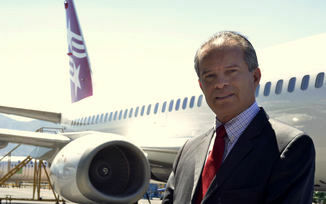 The airline will operate five Airbus 319 aircraft, and the first destinations are Mexico City, Caracas, New York and Miami.The company formed in December 2012, and has since been establishing offices in San José, hiring workers, buying planes, and conducting other preparations. TACA Airlines’ decision last May to drop five non-stop flights to Costa Rica from the United States and other countries created a market opportunity for Ticos Air and other international airlines. TACA Airlines also laid off 261 employees (pilots, flight attendants and operations) from its Costa Rica operations as part of an integration process with Colombian flag carrier airline Avianca. The airline’s website, www.ticosair.com, is currently under construction. Ticos Air will try to fill the vacuum left after the demise of Aero Costa Rica S.A. in 1997 and the full absortion of LACSA by TACA Airlines and later in 2009 by Avianca. The airline will use Juan Santamaria International Airport as its hub but it is also expected the airline will operate to Liberia International Airport in Guanacaste. This entry was posted in Airlines, Central American Domestic Airlines, Costa Rica, LACSA, Latin American Airlines, Latin American Flag Carriers, TACA, Uncategorized and tagged Aero Costa Rica, Avianca, Caracas, Costa Rica, Daniel Gil, Los Angeles, Mexico, Miam, San Jose, TACA, TICOS Air. 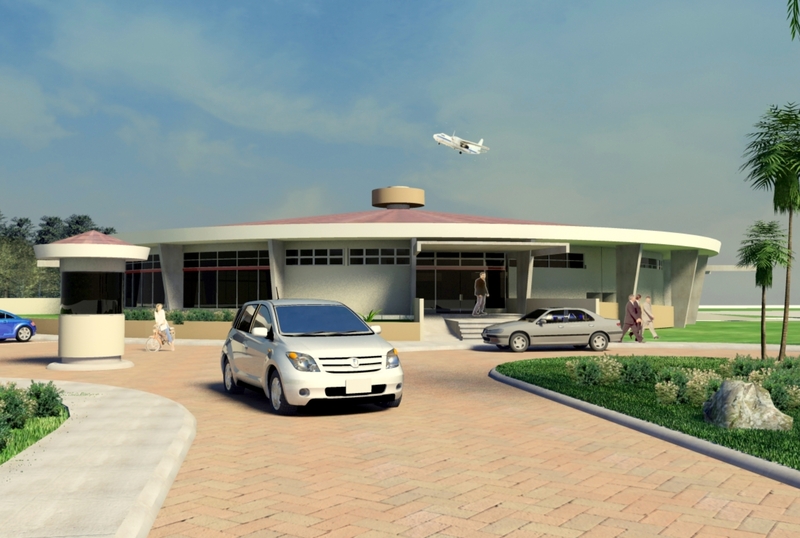 Rendition of the remodeled terminal of El Salvador (Comalapa) International Airport. SAN SALVADOR, El Salvador–CEPA (Comision Ejecutiva Portuaria Autonoma) presented today the Master Plan that will start in 2014 and should keep El Salvador’s Comalapa International Airport as an efficient terminal until 2032. The project will have two phases and will have a total cost of 500 million dollars. Once the upgrading and remodeling of the terminal, Comalapa International Airport should be able to handle 6.6 million passengers per year. The airport located close to the Pacific Coast is Avianca Airlines’ main connecting hub in Central America. Flights from San Francisco, Los Angeles, Dallas, Houston, Miami, Orlando, Washington-Dulles, Newark, New York-JFK, Chicago and Toronto operate to Comalapa International and connect to Central and South America. The airport is serviced by American Airlines, United Airlines, DELTA, Spirit Airlines, AeroMexico, COPA Airlines, Iberia Airlines and will also become the headquarters for the Salvadorian start-up VECA Airways. This entry was posted in El Salvador, Latin American Airports, Uncategorized and tagged AeroMexico, American, Avianca, Comalapa International Airport, COPA Airlines, DELTA Airlines, El Salvador, Iberia, United Airlines, VECA Airways. Rendition of possible Quepos/Manuel Antonio Airport Terminal. 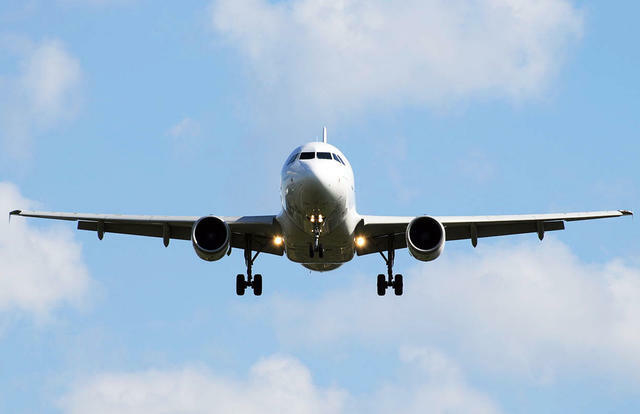 QUEPOS, Costa Rica–Well known as the power house of tourism in Central America, the Civil Aviation Board (DGAC in spanish) is hoping to bring the domestic airports into the next level of service and connectivity. Costa Rica has only two international airports (with Immigration and Customs), Juan Santamaria International Airport that services San Jose and Daniel Oduber International Airport in Liberia/Golden Coast in Guanacaste. The rest of the airports are 100% domestic. Costa Rica has landing strips and some with terminal buildings at Tamarindo Beach, Nosara Beach, Samara Beach, Punta Islita, Tambor Beach, Quepos/Manuel Antonio, Limon, Golfito, Palmar Sur, Puerto Jimenez, Drake Bay, Carate Beach and San Vito. But it is Quepos/Manuel Antonio (with code XQP) the one that will become the next Costa Rican executive airport. The plan is to extend its runway and ramp, construct a new terminal building that can be developed in due time to accomodate Inmigration and Customs Areas. With an extended runway XQP could allow the operation of the ATR-42s and ATR-72s (the airliner used by Avianca Airlines from its Central American hub in San Salvador) and private airplanes. Members of the Costa Rican Congress hope the new President (elections on February 2nd 2014) will develop several more of the domestic airports into executive airports to satisfy the demand of the leisure destinations accross the nation. This entry was posted in Airlines, Costa Rica, Uncategorized and tagged Avianca, Costa Rica, Domestic Airports, Executive Airports, Manuel Antonio, Quepos, SANSA.